Scallops have long held luxurious connotations, in part due to their delicate taste and texture. The quality of scallops in Scottish waters is extremely high and all our seafood is from the West coast to ensure both freshness & quality. They are supremely light and for that reason make a great ingredient to be used in starters. 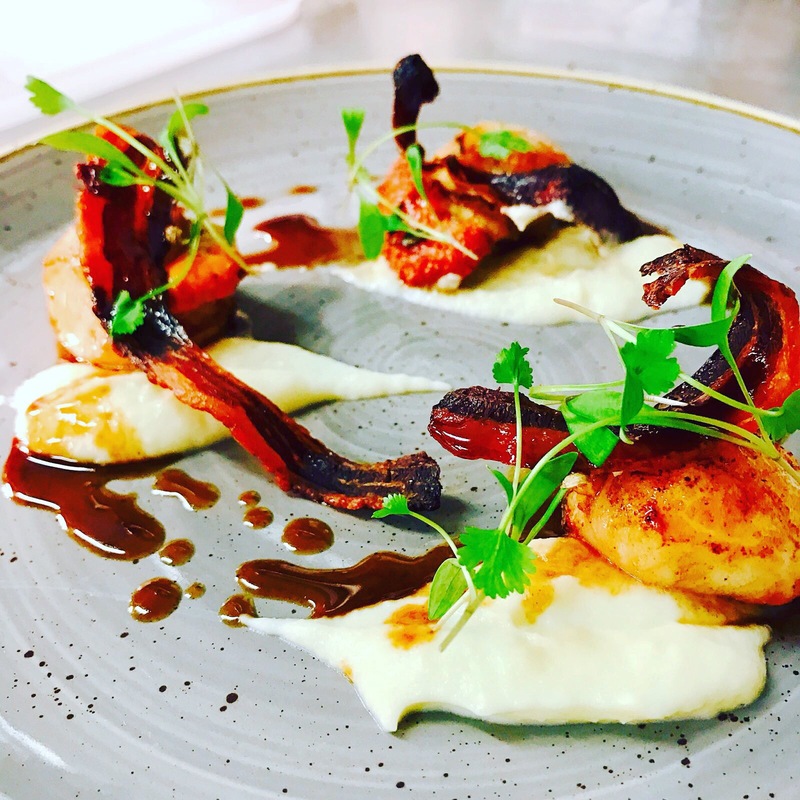 Our scallop starter is a stand out dish using only a few additional flavours that compliment the natural taste. Scallops: The key to searing the scallops is a smoking hot pan with the added olive oil. Dry the scallops and place in the pan. Pan fry both sides until golden brown. Add the butter and flip to make them juicy. Season with salt & pepper. Cauliflower purée: Chop 1/4 of a cauliflower, boil in water until soft then drain. Add 200ml of double cream and 100ml of milk. Pass through a Chinese cap sieve then blend to make the purée texture. Plate up the scallops, cauliflower and chop up the bacon rashers into smaller pieces. Garnish with coriander.